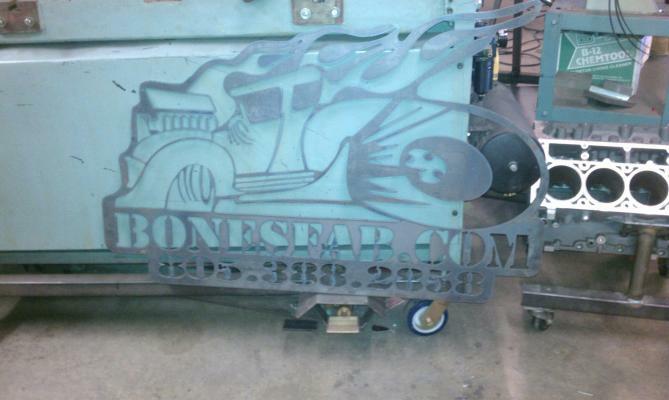 Bones Fab now has a Plasma Cam cnc plasma cutter. Now we can cut any shape and size out of various sizes of metal. Plasma cutters provide the best combination of accuracy, speed, and affordability for producing a variety of flat metal shapes. They can cut much finer, faster, and more automatically than oxy-acetylene torches. How it works: Basic plasma cutters use electricity to superheat air into plasma (the 4th state of matter), which is then blown through the metal to be cut. 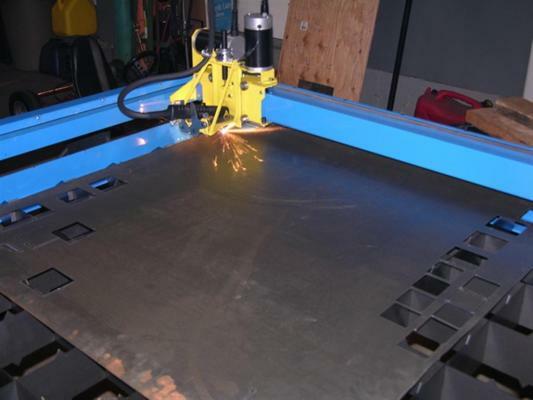 Plasma cutters require a compressed air supply and AC power to operate. 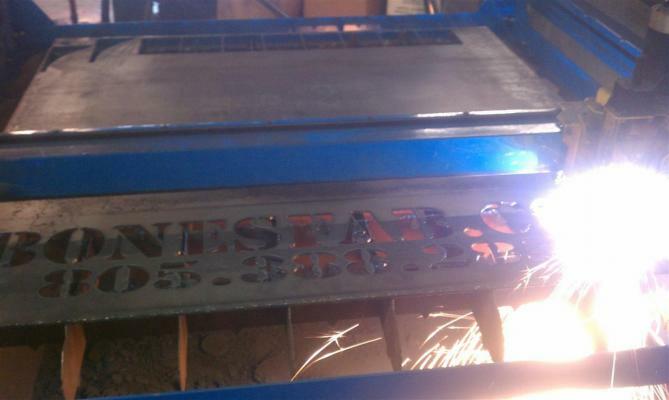 Virtually any metal can be plasma cut including steel, stainless steel, aluminum, brass, copper, etc. Any thickness from 30 gauge through 1 inch can be cut, depending on the plasma cutter used. The material used can be as large as 4 ft. wide by 20 ft. long. 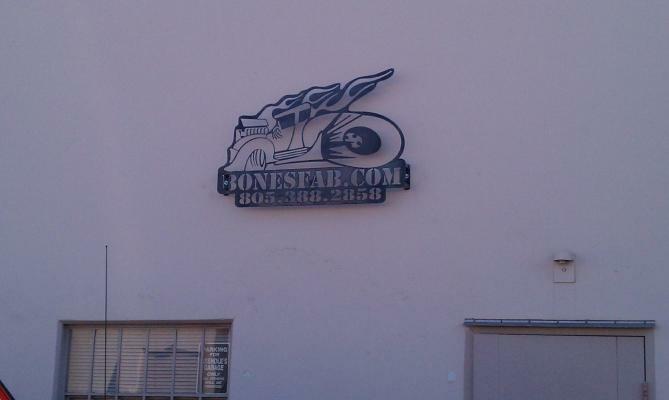 We even made a new sign for our business!